Androgynous haircuts used to be for the outliers--the people who were determined to make a statement. Now, thanks to celebrities like Miley Cyrus, the only statement you’ll be making with an androgynous haircut is a fashion statement. More than ever, men and women both are eschewing gender norms in favor of what they love and are attracted to, and we’ve got to say, we’re fans of the results. 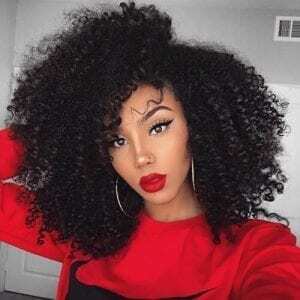 Whether it’s long hair, braids, and ponytails on men, or buzz cuts and faux hawks on women, the combinations are delightful and make us all more powerful when it comes to speaking our truth and living courageously. 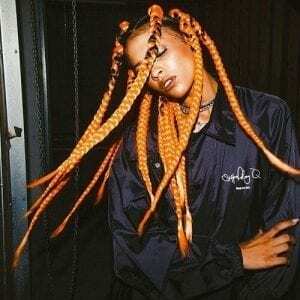 Below is our guide to our top seven favorite androgynous haircuts. On a woman, an uber-short cut is called a pixie cut; on a man, it’s called a buzz cut. Either way, it’s probably the most practical cut on this list, but still manages to offer a whole range of versatility. 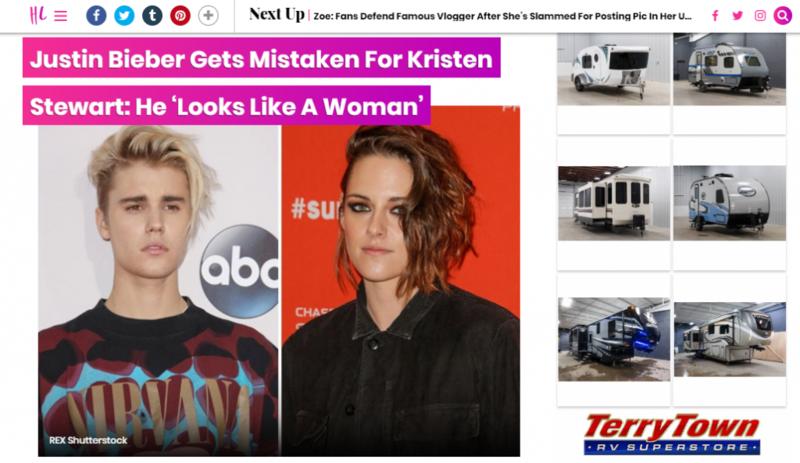 Female stars like Michelle Williams and Lupita Nyong’o counter their androgynous haircuts with ultra-feminine features and makeup, while Rooney Mara and Kristen Stewart work with them to achieve a more gender-neutral look (Kristen Stewart and Justin Bieber currently have the same haircut--a closely cropped, platinum blond buzz). Celebs like Bieber and Stewart are onto something with their buzz cuts--pixies are easy to care for. Little to no product is necessary beyond basic shampoo, which frees you from the conventional styling needs of longer haircuts. Plus, pixie cuts and buzz cuts are flattering on a wide variety of faces and manage to be modern while also being classic. Finally, while you might think buzz cuts are basic and boring, that couldn’t be farther from the truth. You can switch up the color of your pixie (think: Nicole Richie’s pink pixie) or its length. Keep it short and get it buzzed frequently or grow it out, so it tousels. Get designs buzzed in the sides or back, spike it, or let it be soft and natural. 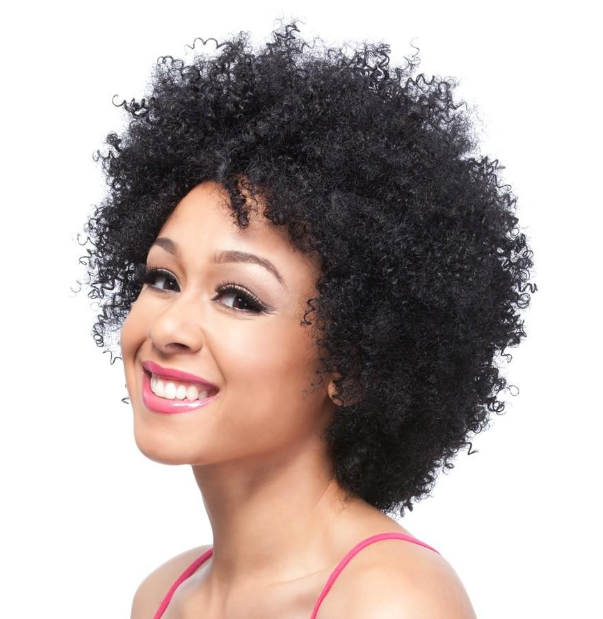 Bonus if your hair is curly and you can rock a curly buzz or pixie cut! 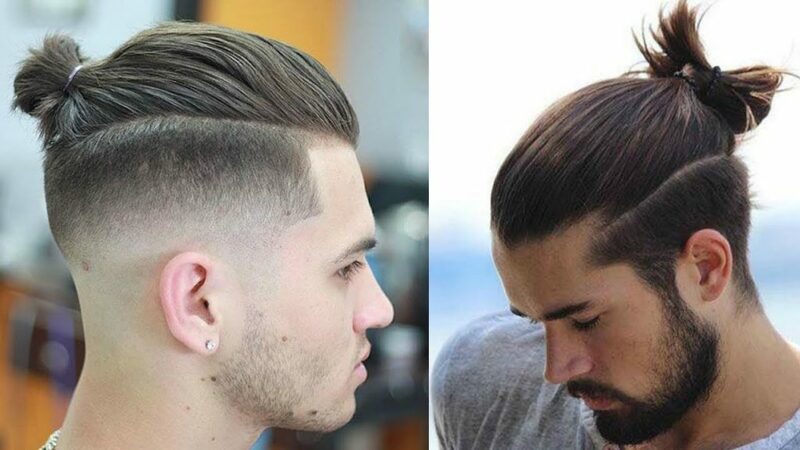 Next on our guide to androgynous haircuts is the top knot--also known as the man bun. Suburban women know this as the “I don’t have time to fix my hair look,” while men know it as the ultimate hipster look that’s become as much of a staple as the beard. Either way, it offers endless options for you if you’re looking for a gender-neutral style. Bonus? It’s ultra-practical, offering a great way to save money on haircuts and keep your hair out of your eyes. 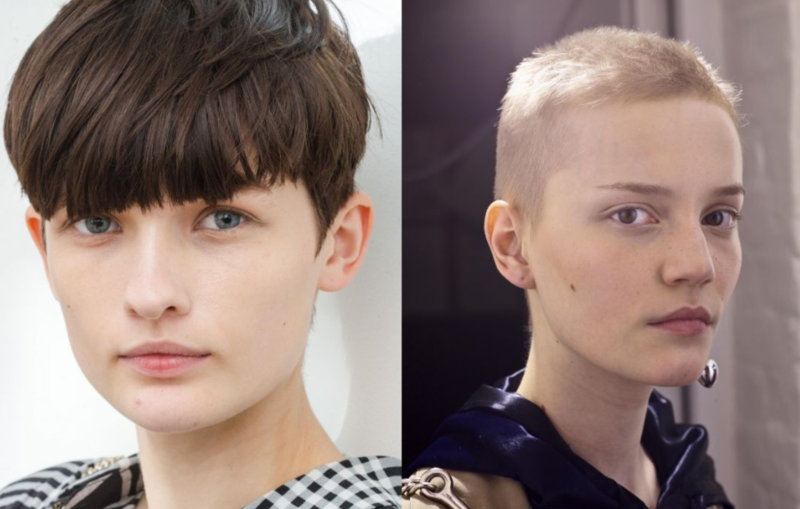 There are as many ways to do this look as there are people, but if you truly want an androgynous look and your features are feminine, you’ll need to add features like an undercut to balance things out. On the other side, if your features are masculine, you can go for a messy bun or voluminous top knot to add a feminine balance. You can also choose to keep things loose and messy or to make them slick and groomed (think: Jared Leto). Whatever the case, the key here is hair--and lots of it. You don’t want layers, so make sure you let your stylist know. Use a biotin supplement, collagen, or rosemary oil to help your hair grow faster. 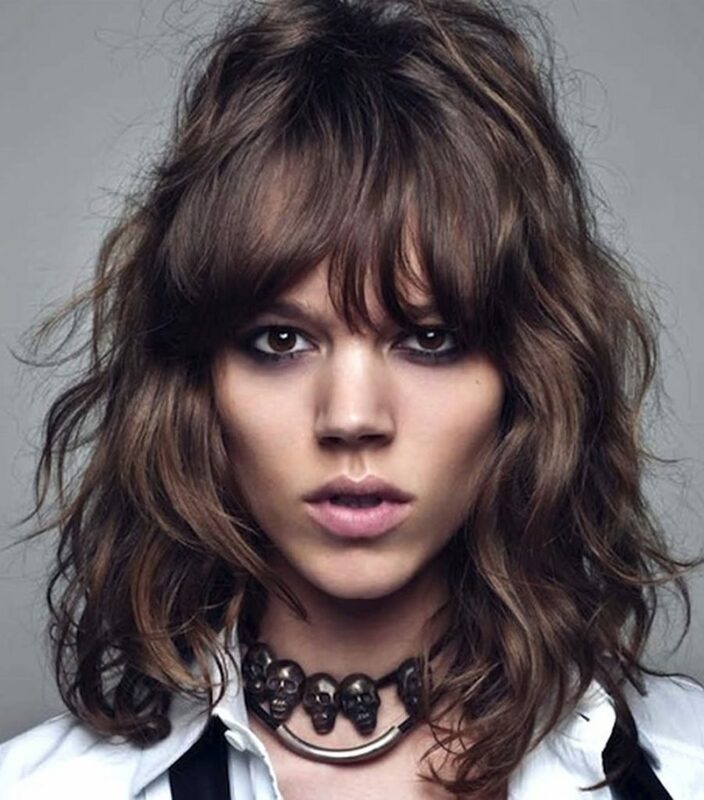 The shag is an androgynous haircut straight out of the 70s! And it’s back in a big way. Allure named it the haircut of the year ​in 2016, channeling icons like Mick Jagger and Jane Fonda, and today’s celebrities are following suit, including Taylor Swift and Harry Styles. The shag enjoys a terrific rock n roll vibe (thanks in no small part to Mick Jagger, we’re sure) which sets it apart from the pixie and the top knot--which are inherently modern and hipster, respectively. What makes a shag a shag? You can count on bangs, always (they’ll be fringy and slightly blunt) and lots of layers. 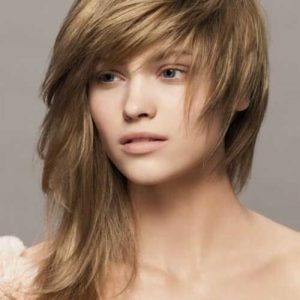 You can opt for fine, almost-fringe like wisps or go for bigger, chunkier layers. Either way, messy is the name of the game--you’ll want your natural texture to come through. Whether you prefer a look that matches your giant bell bottoms and platform sandals or simply want something a bit more offbeat than traditional androgynous haircuts, our guide says this is the cut to try. Faux hawks came into their own for men in a big way in the 2000s, thanks in part to Zac Efron and Joe Jonas. 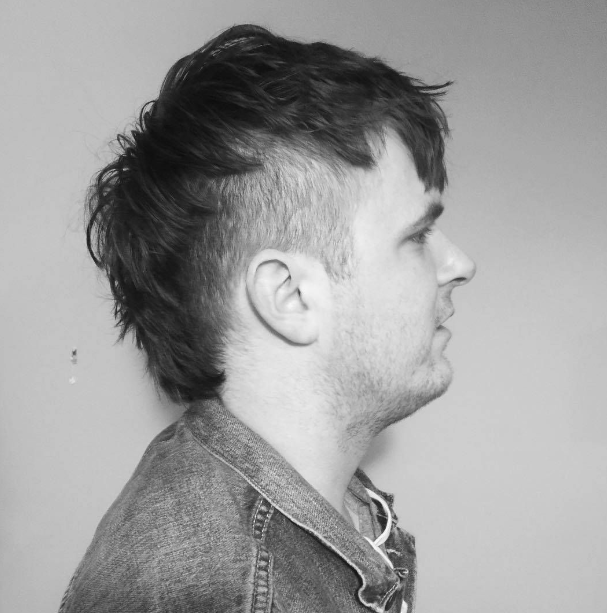 The semi-mohawk was a calmer, more acceptable version of the Mohawk of the 80s, and managed to infuse a punk element to a more manageable haircut. Later, celebrities like Scarlett Johansson and Miley Cyrus have rocked the faux hawk, making it a truly gender-neutral style. 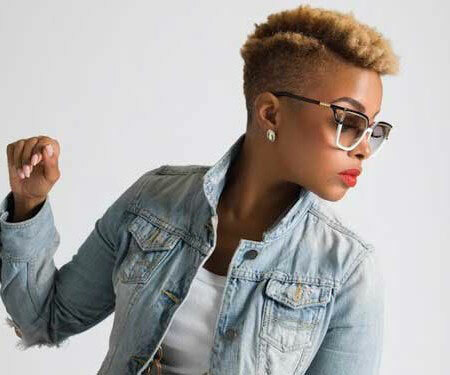 A faux hawk is very versatile and a great way to wade into an androgynous cut if you’re not entirely sure it’s for you; it’s easy to make it more traditionally masculine or feminine, depending on how you style it. 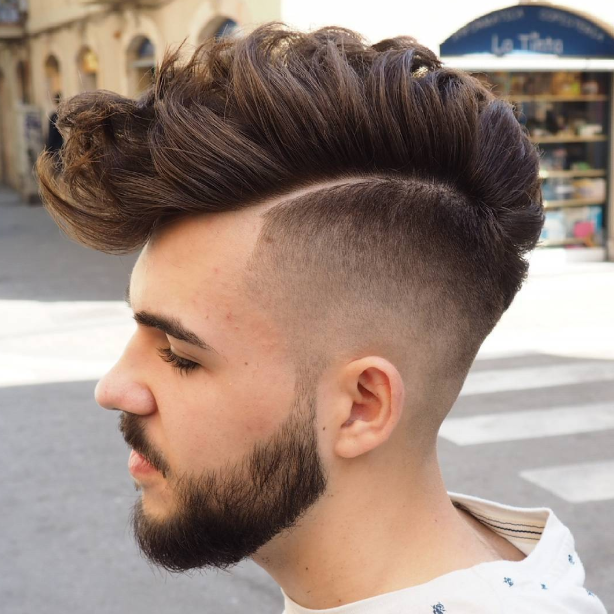 Normally, it features close cut sides and back (sometimes the sides and back are buzzed or undercut) with a wedge, spiky, combed-over, or swooped top. 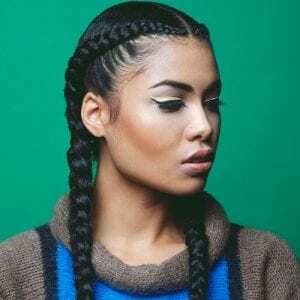 The length of the top can vary dramatically (you’ll even see some throw it up in a top knot), and you can also be creative with the sides--working in braids or buzzed designs. Ah, the afro. If you can grow one, we’re jealous. One of the most classic of all androgynous haircuts, an afro is neither feminine nor masculine--it’s just a great head of hair. Part of its marvel is that each afro is as unique and individual as the hair its made from--whether that’s coils, kinks, or any other kind of texture in between. An afro is a commitment, no doubt, but it’s often healthier for your scalp and skin than traditional hair relaxation treatments. This list from The Root treats us to some of the top celebrity afros ever--everyone from Colin Kaepernick to the Jackson 5 to Tracee Ellis Ross (and her daughter) to Prince to Solange Knowles. Please do not run away screaming--we’re about to tell you the bowl cut is back, but this time, things are better. 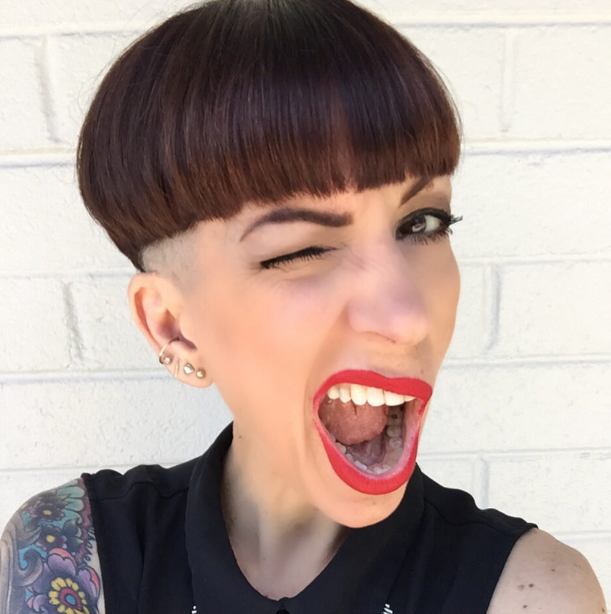 While the mushroom cut forced upon you as a child wasn’t exactly cute, a more sophisticated version of the cut is making its way back to us. And guess what? It’s the perfect androgynous cut! Modern takes in this guide include messier, edgier looks with update color jobs and cool, retro-but-modern vibes. 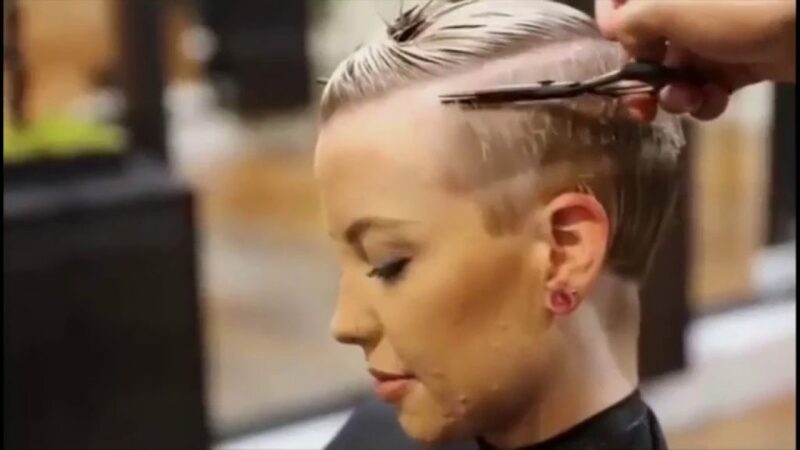 Combined with sleek undercuts or even beards, these cuts are some of the most classically gender-neutral looks in the modern hairstylist’s repertoire. We’ve seen the bowl cut recently on everyone from Selma Blaire to Lauryn Hill, and we’ll be the first to say this cut isn’t for everyone. Some faces just won’t be able to pull it off--but frankly, that’s what makes this cut so appealing. You can opt for a subtle cut that keeps the bowl short and uses a lot of fading, or you can go full-mushroom (you’ll need naturally straight hair for this) with a long top. Somewhere in between is a sweet spot for most people. If we managed to keep you through the bowl cut, hopefully, we don’t lose you with the modern mullet! Yes, it’s back. But stop thinking Billy Ray Cyrus and start thinking more globally-inspired. Today’s mullet is one of the most perfectly androgynous haircuts in this guide, pulling in elements like faux hawks and top knots and being much, much more subtle than whatever was going on the 80s. It’s also much better at working with your hair, and you’ll notice that each person’s mullet is as unique as the person sporting one. Just take a look at popular celebrities to see the variations possible--Rihanna, Taylor Swift, Scarlett Johansson, and others have all rocked this look. To rock one, we suggest first making sure your stylist knows what he or she is doing (and make sure she isn’t picturing county music in the 80s). 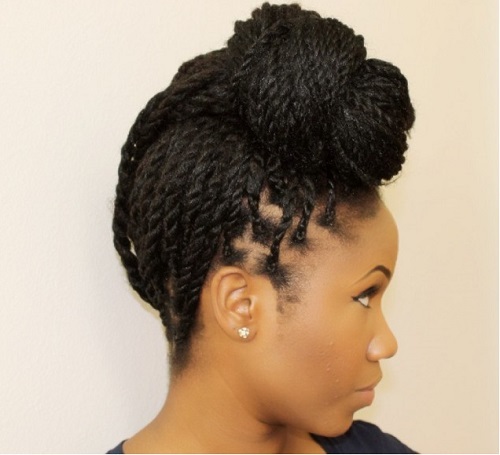 Then, keep the back shorter than ponytail length and keep the top cropped, messy, and uneven. The final reason you’ll love this gender-neutral look? It’s low maintenance; you do not want to use a lot of product or styling with this haircut. Instead, let your hair’s natural texture shine through. Whether you’re a woman empowered to go short or a man empowered to go long, androgynous haircuts are practical, modern, and look terrific. Our only question is which cut will you try first?